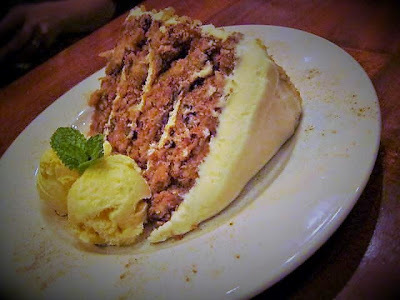 That's a photo of The Keg's carrot cake à la mode. I once referred to it at the world's most dangerous piece of cake because who in their right mind would ever guess it contained more than a day's worth of calories? While I'm all for thoughtful indulgences (and even that piece of carrot cake if you've thoughtfully decided it's worth it), in our current non-intuitive, hyper-calorific food environment, cheat days, even cheat meals, can easily sink your weight management efforts. The answer to the question, "is it worth it? ", is a personal one, but if you don't even ask the question because the day or the meal's a "cheat", you're liable to bite off far more than you'd have thoughtfully decided was actually worth chewing.